Who doesn’t relax looking at the spectacular sunset above the green leaves of the trees after a tiring day? Garage Door Co Aliso Viejo can give you back your precious relaxing moments. We will engage in repairing and replacing the damaged garage door parts because we are the most experienced and qualified company in the area. Having a garage door is a requirement for your security but who wants to be preoccupied with cracks and dents, bent cables and broken springs? Give us a call and our expert technicians will repair any possible damages or replace any broken parts. We can give you small tips of how to take care of your garage door before our regular maintenance appointment, so that you will be sure that it’s always on an excellent condition. Beyond the basic garage door services, our company also specializes on garage door springs service. The springs are very important parts of your garage door because they counterbalance your door’s weight while it operates. If your garage door doesn’t weigh much our technicians will install extension springs and if it is heavy they will install torsion springs. Nowadays you can also find galvanized extension or torsion springs, which are strong too and also fashionable. Either way springs can only be repaired or replaced by trained technicians, who have the proper equipment as well as the know-how to handle such sensitive and considerably large and bulky mechanical parts. Attempting to fix them by yourself would be imprudent because you could be seriously injured. Remember that the springs have the power to easily lift your garage door, which more or less weighs about four hundred pounds. Can you picture what would happen if the springs fall onto your head? The excellent condition and operation of your garage door springs is essential for the operation of your door. Remember, if one of the springs breaks then you will have to replace both in order to ensure proper garage door performance. Our technicians will detect any malfunctions during their regular garage door service and they will let you know whether there is need for replacement or not. You don’t want to find yourself locked in or out of your garage because the springs are broken. Our friendly staff will help you decide about the right choice of spring choice when the time comes. We, at our Garage Door Co in Aliso Viejo, carry various types of springs as any other necessary spare part that you might need for your garage door. 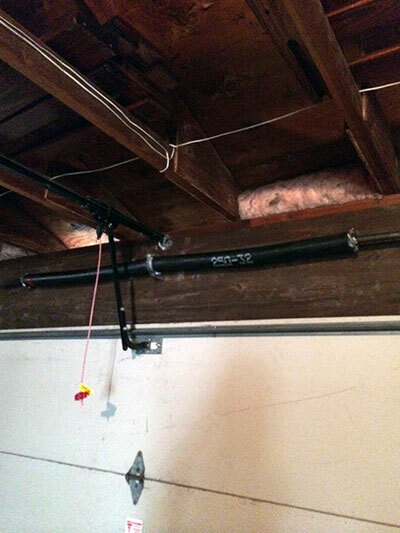 Make your life easier and call the best company for your garage door spring service. You don’t want to miss this beautiful sunset!